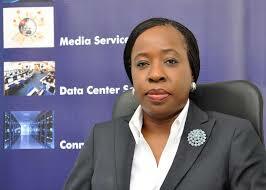 There are four main cloud providers in Nigeria – MainOne, MTN Cloud, Rack Centre and Vodacom. Two of these companies, MainOne and Rack Centre, have cloud services as one of the key components of their businesses. Sure, MainOne sells bandwidth, delivering connectivity services, but cloud service is a key business. MTN is known for its voice telephony and the broadband services, across Nigeria and beyond. Vodacom Nigeria is largely there to serve enterprise customers, since it is not operating any voice telephony service, yet. For MTN, MainOne and Rack Center, which I have reviewed their cloud offerings extensively for clients, as part of my company advisory services in Nigeria, the data center technical capabilities are largely the same. They meet most of the industry top standards. However, the pricing model is totally different. (I will not get into which one is most affordable since they do not make their prices public). MTN can live without the cloud business. Vodacom is testing the market and can retrench if it does not like what it is feeling. For MainOne and Rack Centre, if they fail in the cloud business, they could be imperiled. Hosting and data center business is challenging because of the constructs of abundance which internet makes possible. If a business can tolerate small latency, anyone, anywhere can compete with anyone on cloud offering. That means U.S. data center providers are competitors to these local ones. From IBM to Microsoft Azure, to Google Cloud and Amazon EC2, local businesses have alternatives, besides the big four in Nigeria, for cloud services. This makes being local not necessarily a huge advantage. You have to be good with strong pricing to compete globally and anything less, is trouble. Leaving the banking sector where most of the businesses would be expected to come, you move to insurance. The insurance sector in Nigeria is still at technology infancy. They do not really have the core capabilities and enablers to invest in huge data centers because the business is still done without real-time technology components. There is nothing there for them, in the way they operate, to invest in data centers. They have their small Microsoft servers which run their small IT operations. The SMEs and the startups could be the future opportunities. Unfortunately, looking at the pricing models of the big four data centers, few can easily use them. Sure, some are using them. The American competitors make things far easier, unfortunately, through many schemes and strategies. Sign-up is pretty easy. And Amazon allows you to use their services for extended period, during development, before paying. Microsoft gives you BizSpark for free. But in Nigeria, you have to spend real money to get on board. Few startups have that kind of change in Nigeria when alternatives are largely free to test their business models. Did I mention government? Oh yes, we have Galaxy Backbone. But that one exists in name. It is supposed to handle government business, when it begins to adopt technology. At the moment, that is not what is happening. Galaxy Backbone itself may need a backup because it has severely under-performed and is becoming irrelevant. Count it as one of those government great ideas that failed. Now, what is the challenge before MainOne and Rack Centre which must have good data center businesses, to execute a huge part of their strategies. Amazon is coming. It is never a good thing when Amazon comes into town or in any sector, globally and locally. They have this ruthless business efficiency model that makes everyone look lost. It is a matter of when rather than if Amazon Web Services opens one of its data centres in South Africa. That is the message from Amazon’s chief technology officer, Werner Vogels, who said on Wednesday the group was working on understanding not only South African entrepreneurs but those across the continent. “We have a lot of customers here already, especially when it comes to young business … but also larger companies, before opening up a region here,” Vogels told Business Times on the sidelines of the company’s summit in Cape Town. It will not be easy for Amazon because it will have local competition. However, the challenge for the local companies will be dealing with Amazon’s history of doing all to win market share. Amazon can technically agree to host any company in Nigeria free for five years. You cannot compete against free and a really great quality free product, to add. That is the challenge before MainOne and Rack Center and they have to figure out how to deal with that. MainOne is likely going to be fine since it has a business to sell bandwidth and connectivity. If Amazon comes and gets many people to the cloud, most of those will go through its infrastructure. That means, somehow, it will be paid. MainOne is a highly strategically positioned firm with a very critical infrastructure base that no one can easily cut off. The undersea cable it controls positions it for whatever happens. With its global market position and brand recognition, Amazon will be a big MainOne customer. But if that is what MainOne wants to depend upon, it will have real problems. It needs to be a visible cloud provider. Here is what MainOne and Rack Centre could do. MainOne and Rack Centre must not follow the Zinox and Omatek indigenization/protection campaign, which they tried, when they say falling market shares in the PC sector. The government, then, tried to help them by pushing government institutions to buy the local PCs. Unfortunately, quality and pricing issues did not allow the directive to hold-up. In this area of Internet abundance, it is not likely that will work, either. Nonetheless, they can make a case that some data must be hosted locally. A key factor will be managing it to create a balance that will not use regulation to undermine innovation for local companies. That will depend on pricing and ease of doing business with the companies. The last mile problem must have predicated the business model of MainOne – land this intercontinental cable and leave the rest to local entrepreneurs to use fiber to extend it into cities and communities. That has not happened. Sure – progress is ongoing with Glo and other companies expanding capacities. I do think the fiber density will take years and more investment to come to global average parity. Waiting for that will be hard – the companies can try something new. My proposal will be for them to take selected cities in Nigeria and focus on that. For example, it can take Yaba and make sure it can reach Yaba very well with quality broadband. It takes South East, say Aba and do the same. It picks South South Port Harcourt and so on. And in the cities where it is, it delivers world-class first rate service with better pricing to draw data-hungry businesses and startups within that vicinity. As it makes money, it can then scale to other cities. Where possible, six cities will be optimal. They make them Data Cities of Nigeria, with great bandwidth capabilities and competitive pricing that will attract digital businesses to move and do business. If they do not do this, Amazon will likely do it when it makes it into Africa and Nigeria, with its piles of cash. Provide connectivity at scale and strategically make people to make decisions on company location based on where data pricing makes sense. The beauty of Amazon EC2 is that it saves you money, because many suites are there. EC2 was built on the primitive model. The local firms must find ways to make sure they get Remita, Flutterwave, banks APIs and anything possible, all integrated to provide extra value for anyone that signs. Imagine if signing-up to Rack Centre cloud solution saves one costs of paying for the integration of these other local services, because they have already been done.Those value-added services are big components of what makers data centers/cloud services great. MainOne and Rack Center must invest to have the best solutions for Nigeria. The datacenter business in Nigeria will hit up in coming years as Amazon, Google, Microsoft Azure etc begin to build data centers in Africa to handle the issue of latency. The local players today must work hard to mitigate the competitive challenges through product and pricing innovations. They have to learn from the local PC makers and move fast to deliver visible products before the foreign brands emerge. Winning this business warfare will be extremely challenging because the foreign ones come with more capital and name recognitions. However, if the local ones can offer solutions that differentiate them, they have the edge, and can win. They need to develop a strategy that uses “primitives model” engraved in Nigerian business processes and systems, which the foreign competitors lack. This is the real issues with cloud and data s to rage for Nigeria… The country lost on Microsodt’s deal to South aafrica. Hope all of the other stay…. 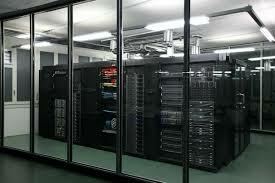 Nigeria is able to generate enough power to sustain data centers. The government is willing to license an one or company with interest in generating power. Good point Taiwo. Power is the missing element here and it will affect most of our companies. The government made it available. You can generate your own power. You can obtain license to generate, with a collection of other companies. It is possible. General electric is one of the biggest manufacturers of the equipment. 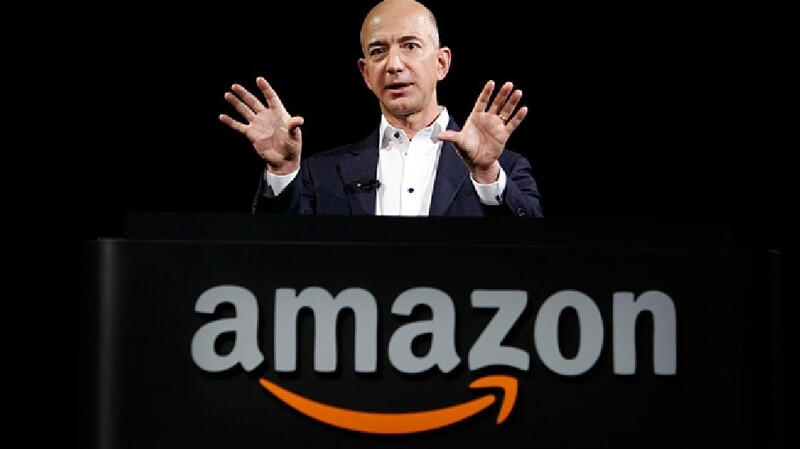 Worst case scenario… Amazon buys Main One..
Lol.. End of discussion. Market Captured.. That is if they implement your suggestions.. Personally I can’t wait enough for Amazon EC2 in Nigeria.. I already use it and having a data center here in Nigeria will make my life GREAT. There is no clear sense for a MNC buying a local hosting company. They do not have scale for that to make sense.